“Rich rewards” are luring MBA graduates from dwindling investment banks and into private equity firms that have much capital at their disposal. Private equity firms and hedge funds have been temping business school students since the financial crisis and it is the “rich rewards” that are luring MBA graduates away from banks. The strong salaries offered by private equity firms like Blackstone and Carlyle Group have made the buyout industry more attractive. “Since the financial crisis there has been a correction in banking pay,” said Paul Schoonenberg, head of MBA careers at the UK's Aston Business School, particularly bonuses. Martyn Drage, career consultant for the financial services industry at Henley Business School, said there is a perception that the alternative investment market has “richer rewards”. He said that many people are driven by the question of: “where can I get rich quick?”. Pay is a bigger problem in Europe, where EU rules have capped bonuses for senior bankers at twice the level of annual salary. Also, large banks including Barclays and Royal Bank of Scotland have recently announced plans to slash their investment banks' staff numbers. 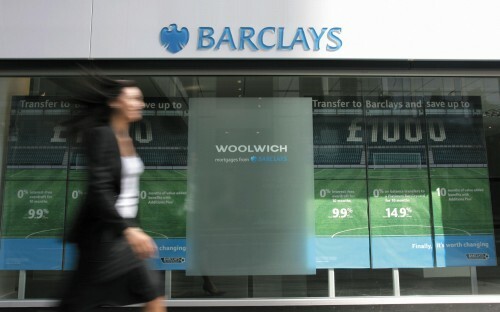 The overall bonus pool at Barclays shrank by more than a fifth, as big banks come under pressure to reduce large payouts. Simon Walker, director general of the Institute of Directors, said that keeping excess in check is a vital step in restoring the reputation of the banks. Banks in Asia and the US have more freedom on remuneration, and bankers there are often paid a higher portion of their total earnings in bonuses. Professor Werner Bonadurer, faculty director of the MSC in Finance program at W.P Carey School of Business, said that more senior finance workers often move out of heavily regulated sectors. They find homes in private equity groups and hedge funds, he said. “Less capped pay checks are there,” he added. In response to regulation, some of the biggest banks are reviewing junior bankers’ pay. It is the latest move by companies to boost salaries following public pressure to reduce bonuses. Yet many senior professionals who graduate from business school seek a quicker return on the investment of their MBA degree. Investment banks no longer provide the lavish salaries of old. Asset managers are set to be paid more than investment bankers by 2016, according to New Financial, a think-tank, in a shifting of the balance in capital markets following the crisis. Compensation cost per employee at investment banks fell 25% between 2006 and 2014 to $288,000 – but average compensation cost per employee at asset managers rose 22% to an estimated $263,000, said New Financial. Paul at Aston said there will continue to be an interchange of talent between the banking and private equity sectors, as many of the skills needed for both are complementary. For private equity groups, investment banks are often a powerful hunting ground, according to Paula Quinton-Jones, director of career services at Hult International Business School. John Gurskey, director of career services at Melbourne Business School, said that for MBA candidates it is “absolutely essential” to have investment banking experience to be hired by private equity firms who recruit in Australia. Sotirios Paroutis, assistant dean for the full-time MBA at Warwick Business School, said that MBA’s appetite for banking and investment banking in particular remains strong, despite the fact that their pay has come under scrutiny.